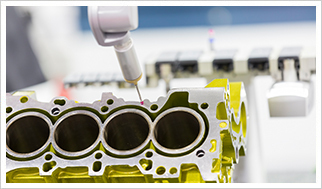 As such, Noble Precision believes that we have a fundamental responsibility to our clients to ensure that every distinct part/component undergoes the most rigorous monitoring and testing to certify its utmost quality and precision before it leaves our facilities, or it just does not leave at all. With respect to the quality of our workmanship, there is simply no room for compromise or concession – at Noble Precision, our mandate is quality. Noble Precision is driven by the desire to develop partnerships with our clients rather than the more traditional supplier-consumer relationships. This approach or attitude establishes a sense of pride in the knowledge that we are making significant contributions to the overall supply chain process instead of simply filling work orders. As your partner, we take full ownership and responsibility for each and every component or part from the inception of your project until the time that we deliver a finished solution that meets your precision manufacturing needs. For further information on our uncompromised commitment and mandate to quality, call Noble Precision today at 416-938-6455 or contact us to arrange a consultation at your earliest convenience.